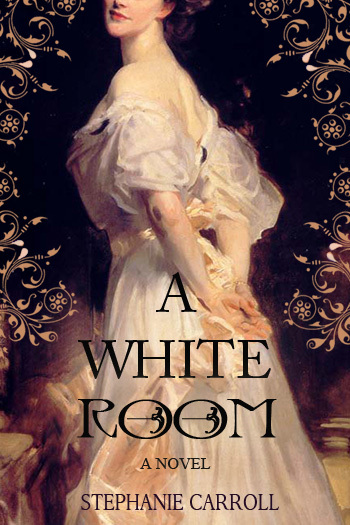 A White Room, debut historical novel by Stephanie Carroll, Takes on Secrets, Madness, Gender, and Human Rights in 1900s America | Oh, for the HOOK of a BOOK! Oh, for the Hook of a Book! is pleased to review A White Room by Stephanie Carroll today as the launching point on the start of her summer virtual tour! After the review and details, please take part in a chance to win her debut novel as well as check out all the other tour dates in which she’ll be interviewed and also have some interesting guest articles. And if you’d comment at the end of the post by clicking “comment” by the bottom footer, Stephanie will be availabe to answer any questions or comments you have! Enjoy! Emma is terrified of her house. It moves, creaks, and seems alive. Is the terror truly there or is it in her own head? Is her isolation driving her mad or is her madness making her isolated? A White Room by Stephanie Carroll is a historical novel showcasing the plight of women in the early 20th Century, where desperation for women with dreams and desires outside of working in the home could blur the lines between sanity and insanity. Where men ruled the towns, the families, and the plight of every woman. Where high society women betrayed, humiliated, and bullied other women for wanting more than to launder, cook, and clean. Emeline (Emma) Evans’ beloved father, who encouraged her dreams of helping people through nursing and had the funds to send her for an education, dies leaving her mother, her siblings, and her in sudden poverty. Not knowing how else to help her family, she pleads to a family once helped by her father to let her marry their son. Once they agree, she is thrown into an undesirable situation by the new husband, John Dorr, who moves her far away from any family to start a new isolated life in a gothic home that reeks of sorrow and desires unmet. Coupled with the fact that the only human contact, besides their a few-days-a-week maid who helped her with the incessant chores, were the high society women in the church who ran committees for profit or invited her low rung young husband lawyer to dine at their homes where she inevitably made mistakes. Society in the early 1900s didn’t approve of women working outside of the home…their duty was to lug and hand wash dishes, launder clothing by hand, starch, iron, cook, scrub floors on hands and knees, be a dutiful wife and have sons…even if they had an education. Emma knows some of these chores are important for daily life, but yet it seems she cleans for them to be dirty again, cooks what is consumed, and none feel meaningful and have a lasting effect on change or the world or community. She wants to do something important. And here is where her dedication to herself, her desire to assist those in need, her intelligence and independence, almost drive her mad. Her intimidating eerie home starts messing with her mind. The furniture moves, reflections are odd, yellow eyes glow from the bushes. All this leads to her getting a straight ticket to a diagnosis of hysteria, which means she is confined even further to a bedroom with stark white walls in contrast to the dreary decor of the rest of the house. As the terrors of the home and her thoughts bring her to more paranoia, she flees the home and begins to defy her plight. She starts practicing her nursing, unlicensed and in secret, even as her husband’s law firm boss is hunting down these types of medical practitioners. Will Emma’s rebellion cause her more pain and confine her further or redeem her from her life of madness and isolation? I highly recommend you read this book to find out. It’s an amazing story of a woman’s determination to use her intelligence and heart to help others, even at cost or danger to herself. Carroll does a superb job of pulling the reader in from the start. We feel as if we are Emma, her thoughts and actions and worries so pervasive to our own minds. Just as the house seeps in to our bones and we feel it closing around us as Emma does, as we feel the creepiness making the hair on our arms raise, just as we ourselves might go mad out of anger for Emma’s life, a redeeming break happens. The light enters in and Emma shines. I totally loved this book. It’s been described as being similar to Charlotte Perkins Gilman’s The Yellow Wallpaper (where a woman becomes obsessed with the wallpaper bedroom), Frances Hodgson Burnett’s The Secret Garden, and Emily Bronte’s Wuthering Heights. Though I concur that all that is true, I go further by being reminded of why the gothic writing work and home remind me of Nathaniel Hawthorne’s House of the Seven Gables (he and I are descended from the same family tree and his work is a favorite of mine) and some of the works of V.C. Andrews, such as Flowers in the Attic. She gives us a gothic feel reminiscent of Daphne de Maurier’s works. If you have an open mind, or want your eyes to be opened, especially in terms of women’s servitude of the mind that has been happening for ages, this book is a must read. Women’s rights activists like me will highly covet this book as it brings about the secrets of the Gilded Age and also shows how it still transcends into society today. The content and intricacies of this book are excellent. I can’t give this book enough great accolades, so don’t hesitate, just read it! If you’re a fan of 20th Century culture, women’s issues, or eerie, haunting work, add this one to your list. Carroll is definitely an author not to be missed and I look forward to more permeating work from her in the future. Want a chance to WIN a copy of Stephanie Carroll’s A White Room? Sign-up for her Rafflecopter giveaway for an e-book version of this exceptional book! Good luck! Her dark and magical writing is inspired by the classic authors Charlotte Perkins Gilman (The Yellow Wallpaper), Frances Hodgson Burnett (The Secret Garden), and Emily Bronte (Wuthering Heights). A White Room is her debut novel. 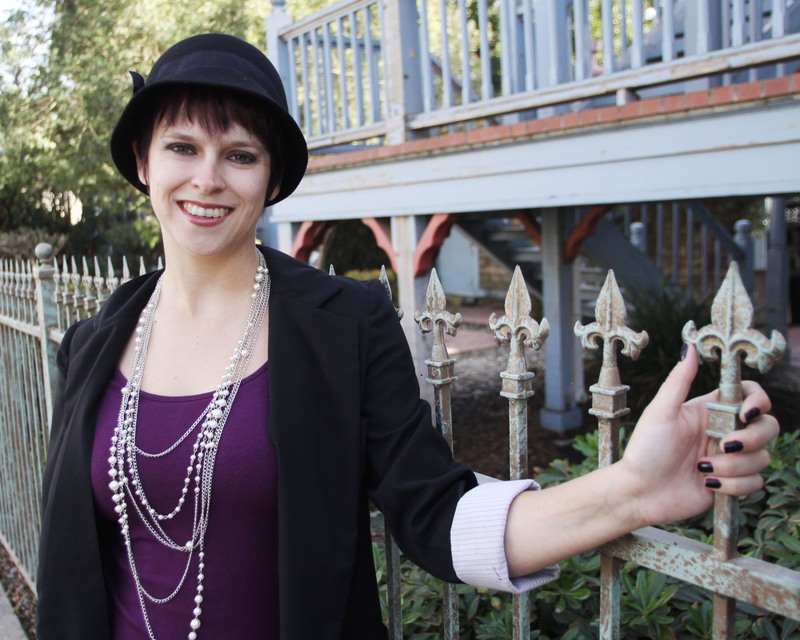 Stephanie blogs and writes fiction in California, where her husband is stationed with the U.S. Navy. Her website is www.stephaniecarroll.net. The author photo was taken by Corey Ralston Photography and the cover was designed by Jenny Q of Historical Editorial and the original painting is Lady Astor by John Singer Sargent, 1909. Guest Post – How to Write the Inner Thoughts of a Crazy Person – Finding Meaning in Insanity? Mon, July 15 – A Writer of History: Guest Post: Writing an Era – Where to Begin? Be sure to check out all her interviews and guest articles throughout the summer. And stop back by Oh, for the Hook of a Book! for our interview with Stephanie! Thank you Erin for this awesome book review and for starting off A White Room’s Blog Tour with a Bang! I look forward to hearing from your readers and answering any questions they may have. Stephanie, your book sounds intriguing. I’ll be picking one up as soon as I come up for air. Well done! Thank you Elaine! I’m really glad you think it sounds interesting. Do you read a lot of historical fiction? Thank God for advances in treating mental health and advances in woman’s rights. There is still room for more improvement! You are very right Denise! It’s amazing how often we forget that psychology is a fairly new field of medicine and in many ways women still suffer the assumption that we are all crazy! I wrote an article about this on SavvyGal.com. I talk about how people joking about women being crazy and sometimes saying it seriously is really left over from the turn of the century understanding of women and mental health. Turn of the century society – both men and women – truly believed that it was a scientific fact that women were mentally weaker than men and thus more likely to crack. This is one reason it was argued women must stay at home for the stress and immorality of the working world would break their minds. What woman today hasn’t been called crazy? I know I have. Here is the link to that article if you are interested. That article sounds great, Stephanie! Pingback: Stephanie Carroll, Author of A White Room, is Interviewed on Gothic Style, Victorian Era, and Writing Historical Fiction | Oh, for the HOOK of a BOOK!